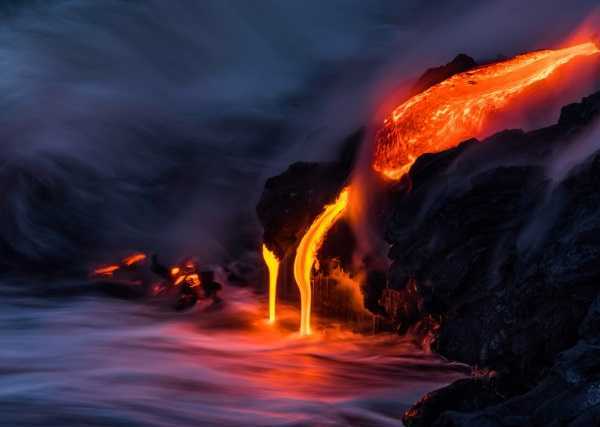 Hawaii‘s volcanoes are famed for their spectacular eruptions but photographer Nick Selway has captured Kilauea’s lava fountains in a brand new light. 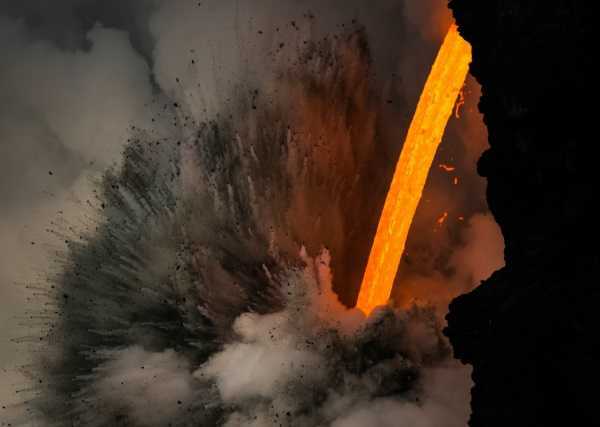 Kilauea volcano, located in the southeastern portion of Hawaii’s “Big Island”, has erupted regularly since prehistoric times. 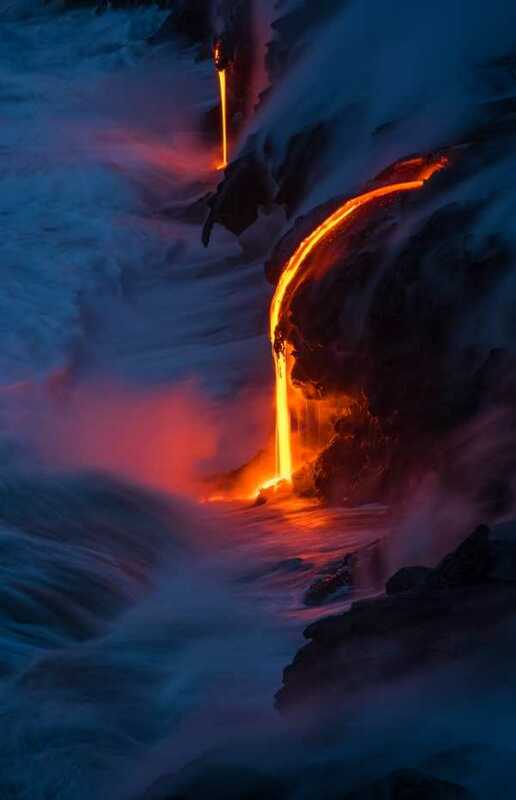 Its current eruption began in early January of 1983, making it one of the world’s longest-duration volcanic eruptions. 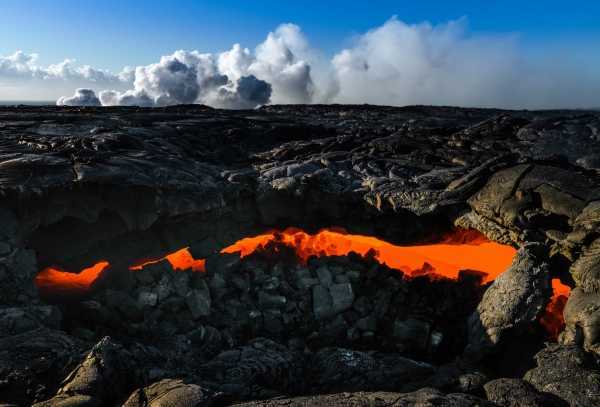 Like most Hawaiian volcanoes, Kilauea is a shield volcano whose lava flows are typically of the slow & steady variety – a good thing, if you live in America’s 50th state! 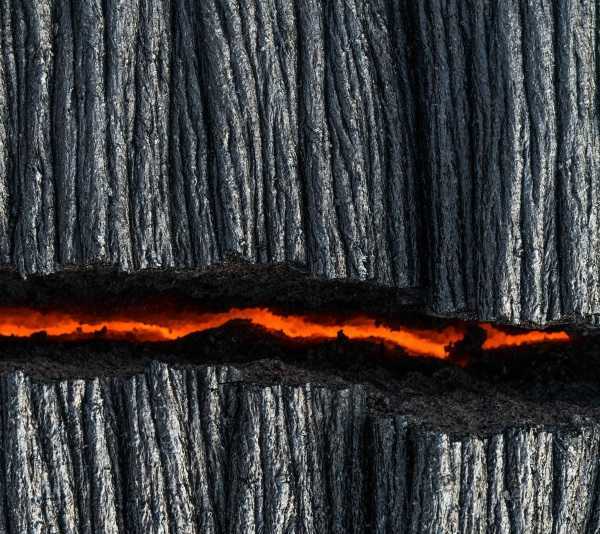 Kilauea is anything but boring, however, and though most of its visual pyrotechnics are non-violent (as volcanoes go), the massive smoking mount has other ways to put on a show. 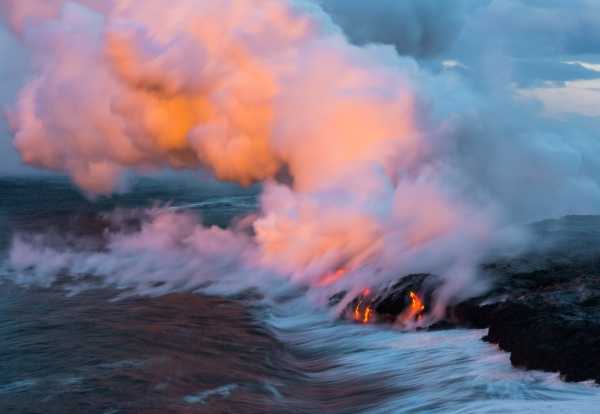 One is through lava fountains from the main crater and subsidiary vents; another centers on the oft-fast-flowing rivers of lava that – being that Kilauea hugs the island’s coastline – eventually pour into the Pacific Ocean.